With Hillingdon already recognised as having the best parks in the country with our record number of Green Flags, this further investment will ensure local residents continue to enjoy these public facilities. 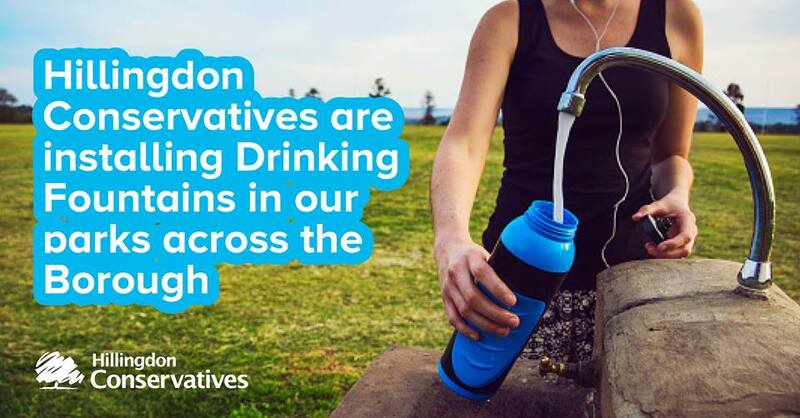 The Conservative Administration will be installing 15 drinking fountains at 14 of the borough's parks. The bottle filling station will allow people using the parks for recreation to stay hydrated. Each fountain includes a main bottle filler and two mixed-level bubbler taps which dispense water to fill bottles or catch in the mouth. One of the taps is at an accessible height for people with disabilities and young people, and the other is at ground level for pets.